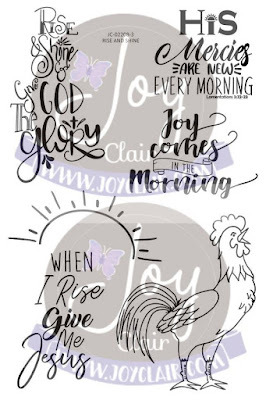 January New Release with Joy Clair Day 1 ~ Rise and Shine! 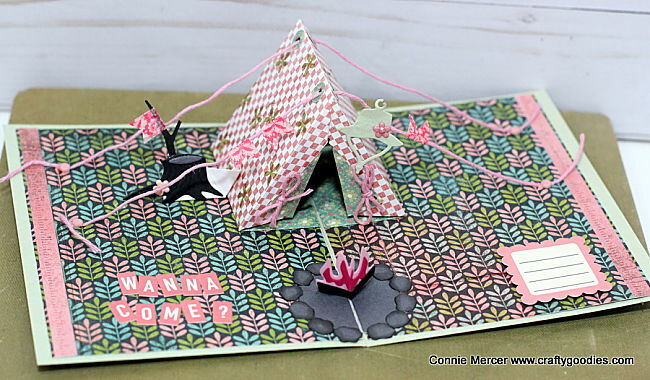 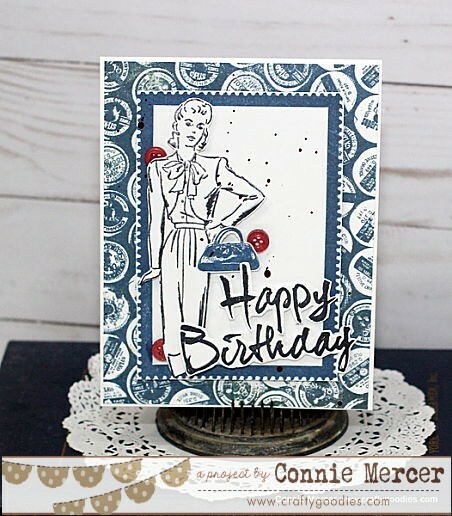 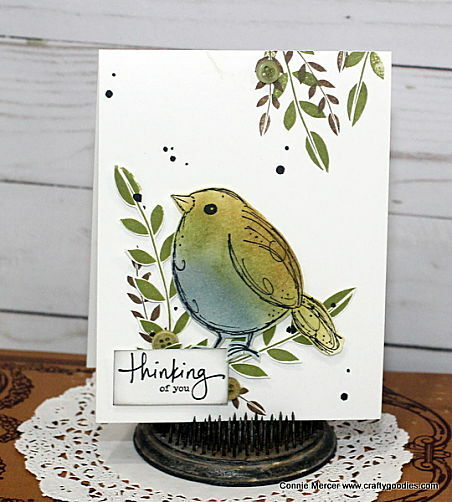 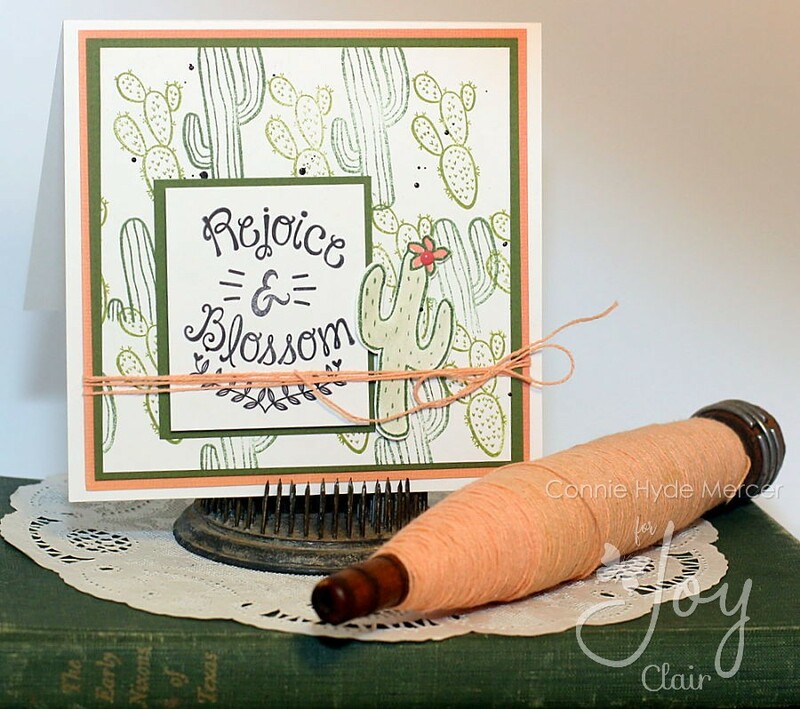 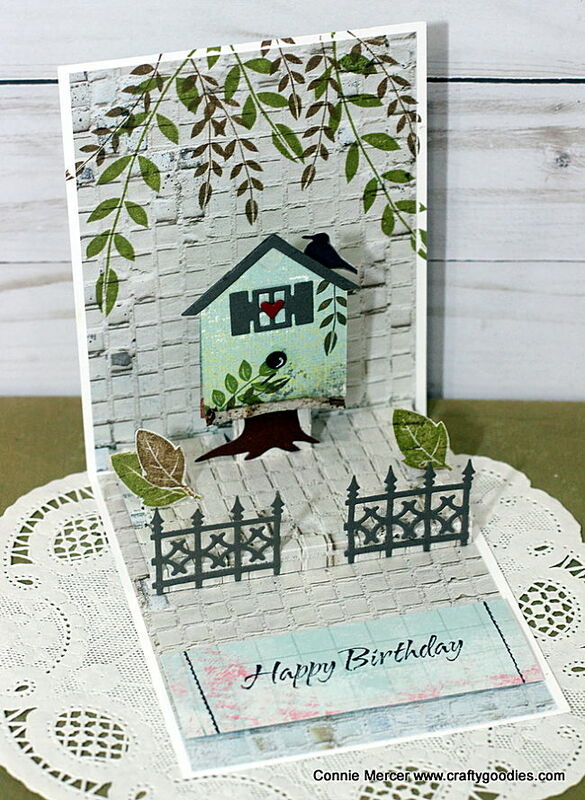 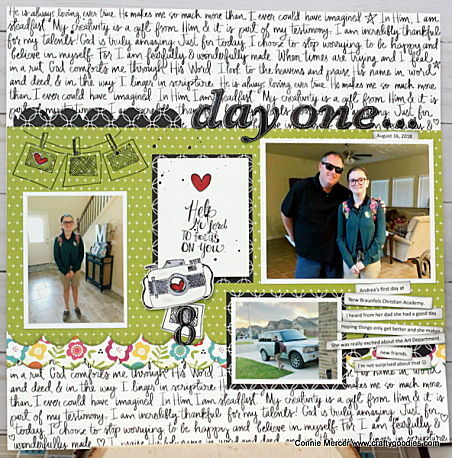 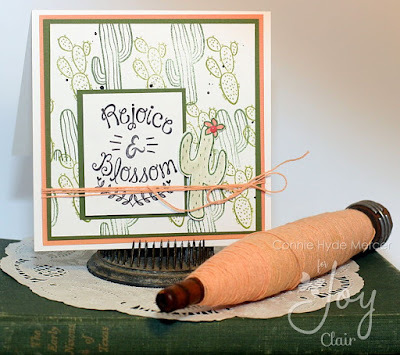 So happy to show you my first project using the fabulous Joy Clair stamps. 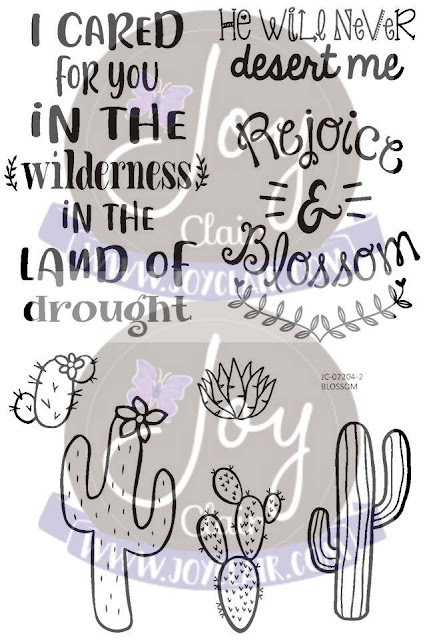 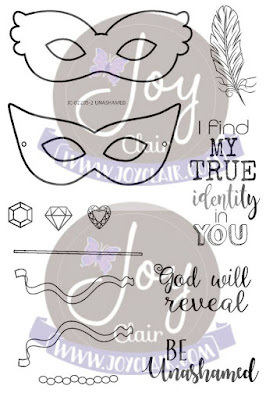 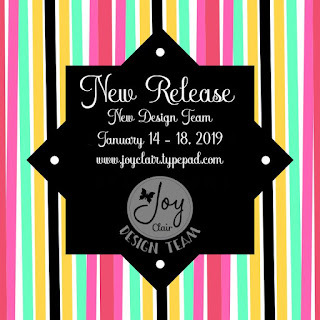 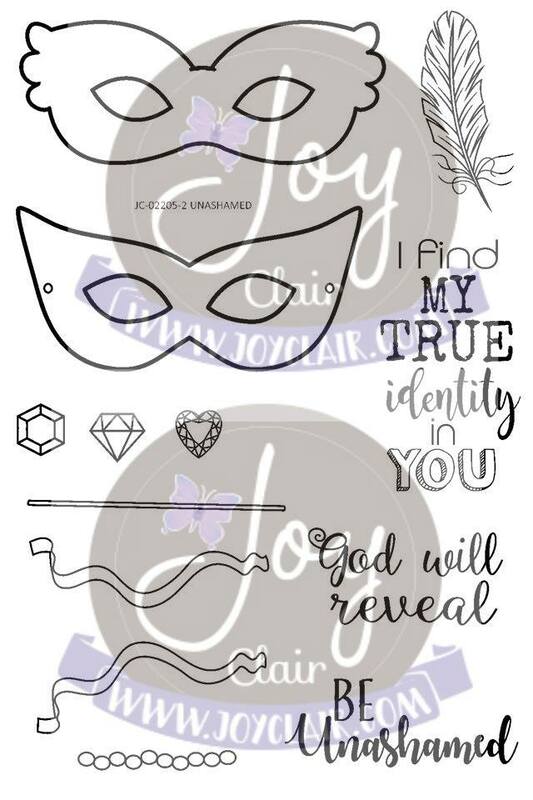 This is from the Joy Clair January release, 13 sets and all amazing!!! 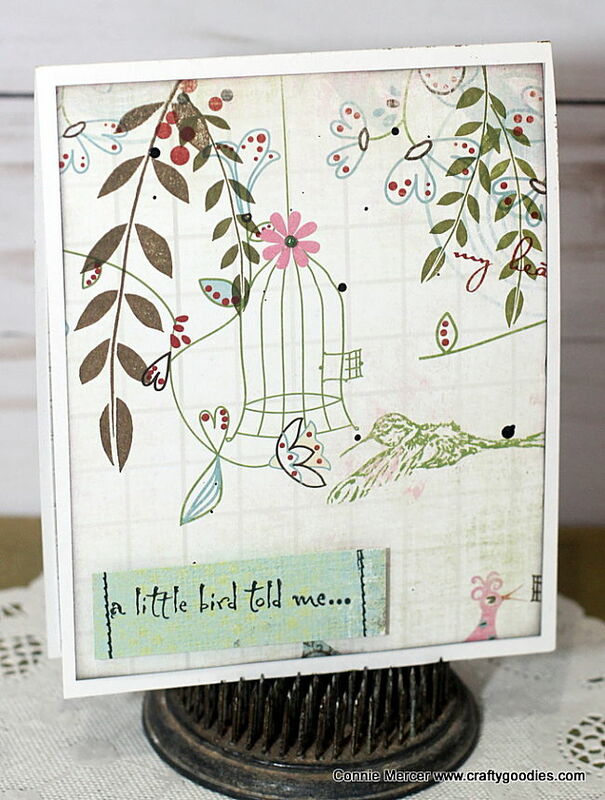 and would make great embellishments for the scrapbook page but also for cards!! 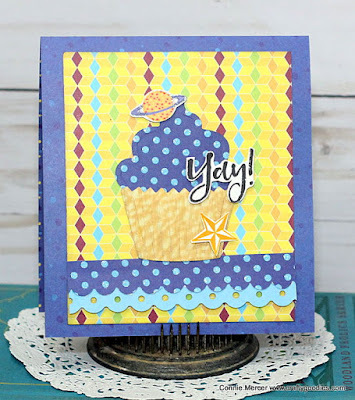 create a multi color background for a card. 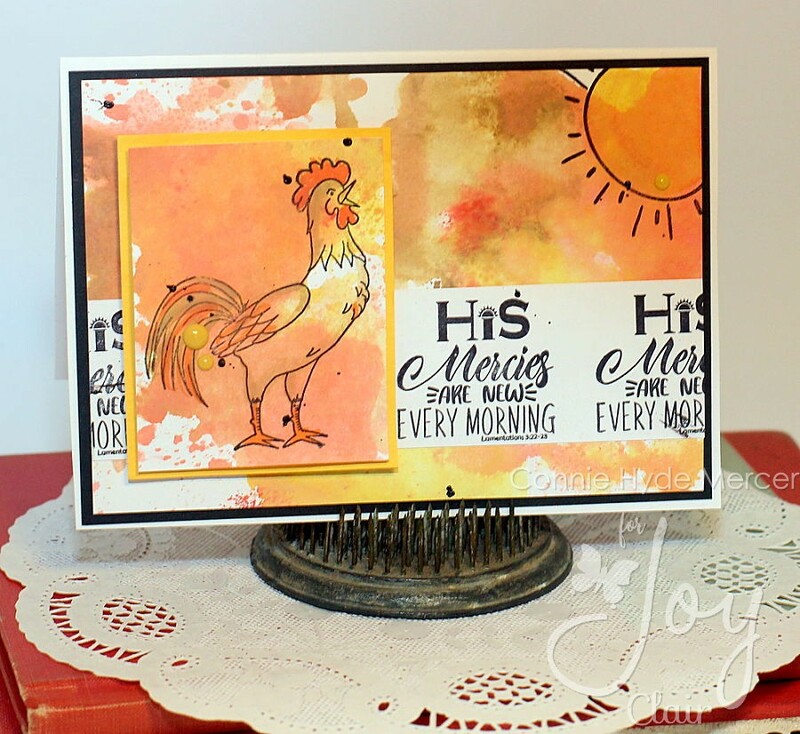 This technique worked so well for the Rooster, giving him all kinds of colors. 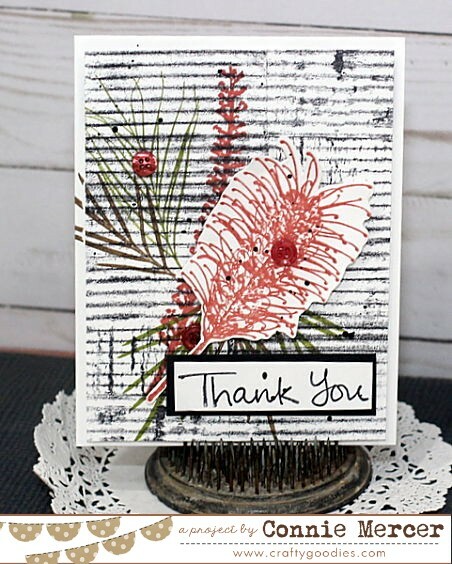 the sentiment lined up and straight while stamps several in a row. 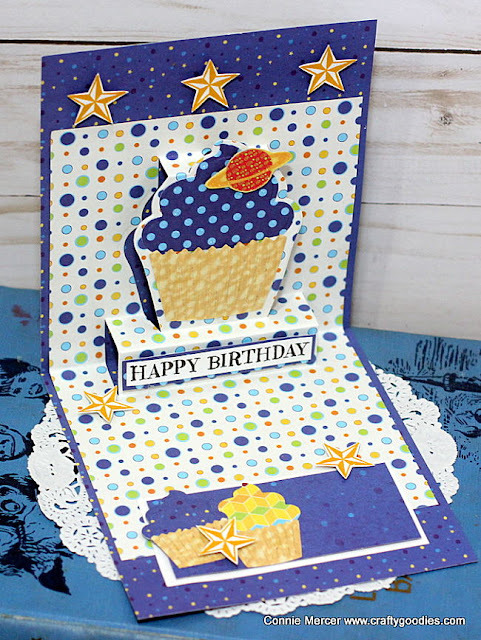 We will be picking one winner for each day of the release – a total of four lucky commentators! 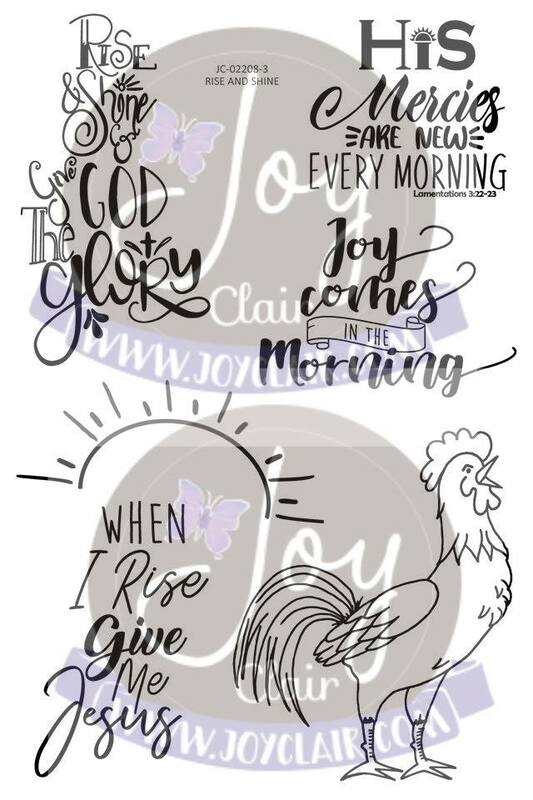 closed its door so they were sent back to me. 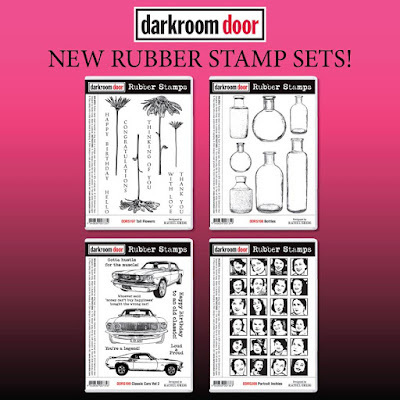 They were created using Darkroom Door stamps. I'll post a list, of stamps used, at the end of each card. 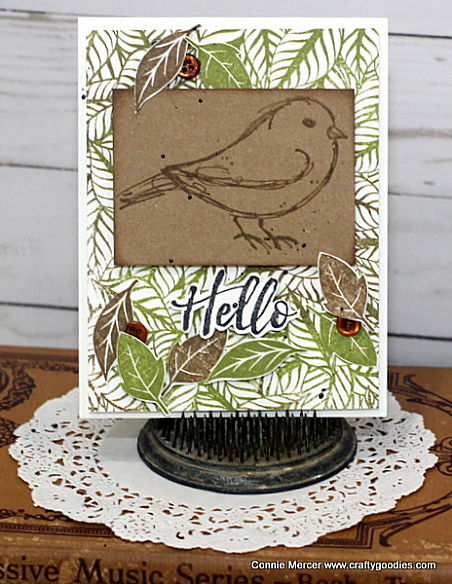 stamped on Kraft cardstock . Sentiment is added and then speckled with ink. 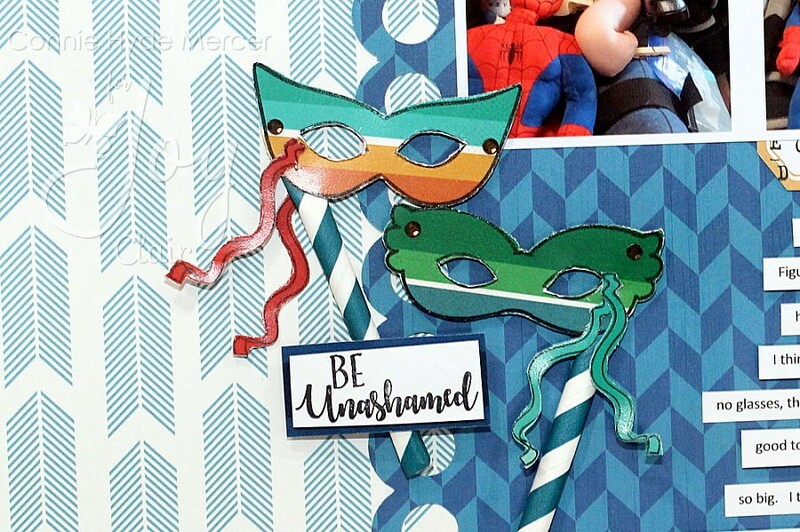 out on white cardstock and cut them out. 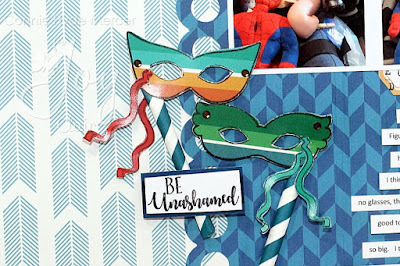 Love the dimension it gave the card. 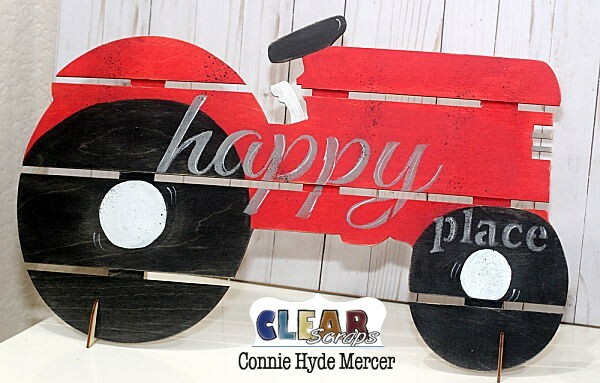 Hi, Connie here with the new and super cute Tractor DIY Pallet Shape. 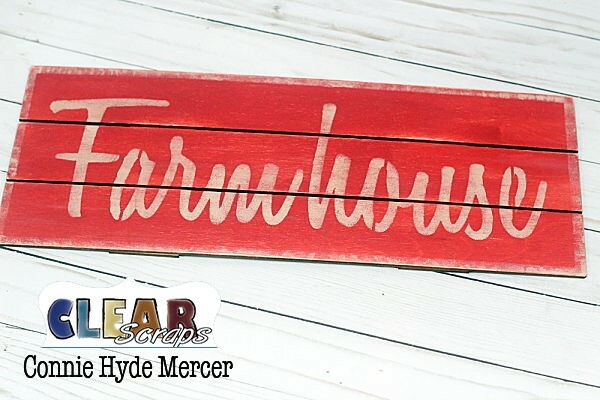 I thought this would make a perfect door sign for that Tractor loving kid and I just so happen to have one of those kids. 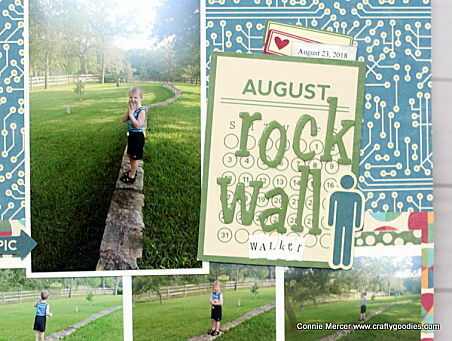 The boy loves tractors, especially red ones. 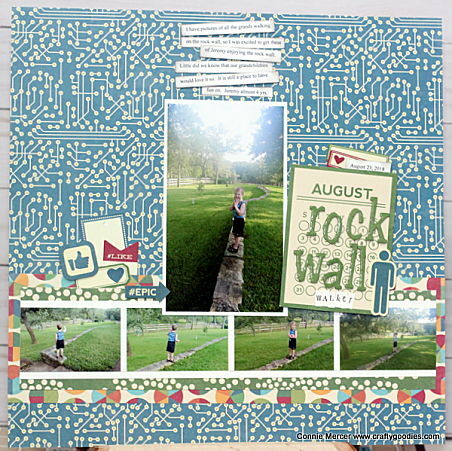 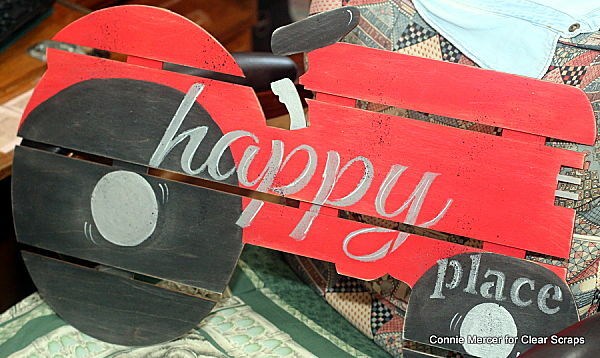 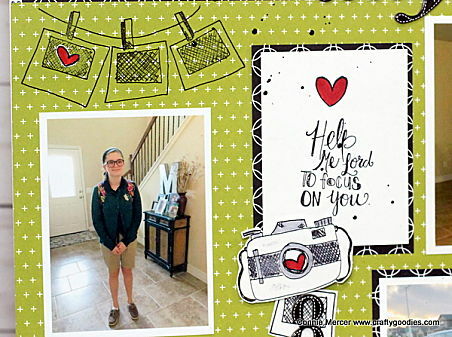 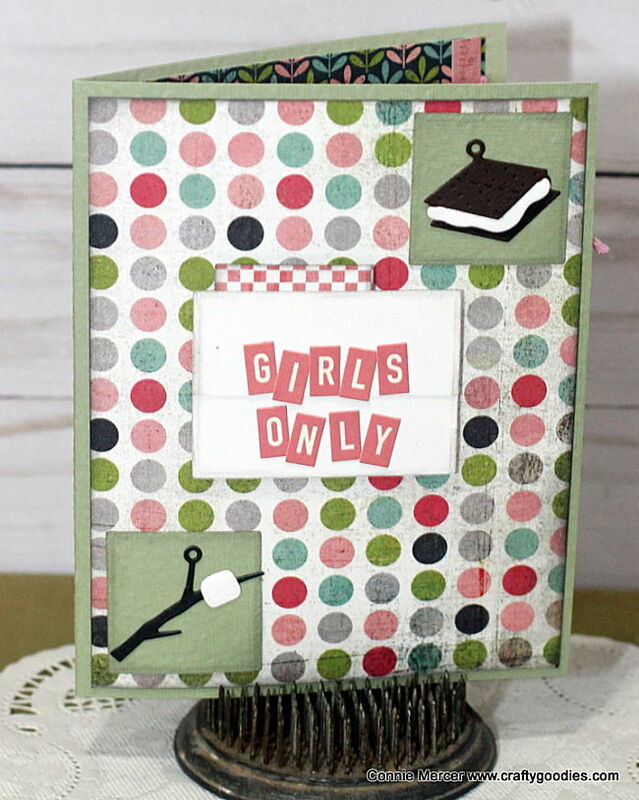 So easy to create with the Tractor Pallet and the "Happy Place" word stencil by Clear Scraps. To get the tractor image on the the tractor pallet shape, the tires were painted on first. Then the hub caps (do tractor's even have hub caps?) The steering wheel next and then the body of the tractor. Wheel highlights where done next. 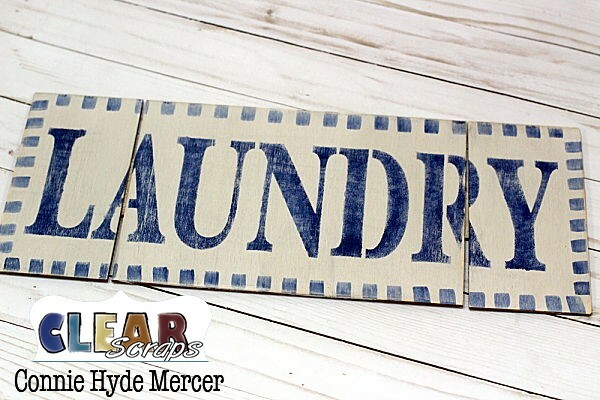 After the paint has dried the image was sanded lightly and wiped down with a soft rag. 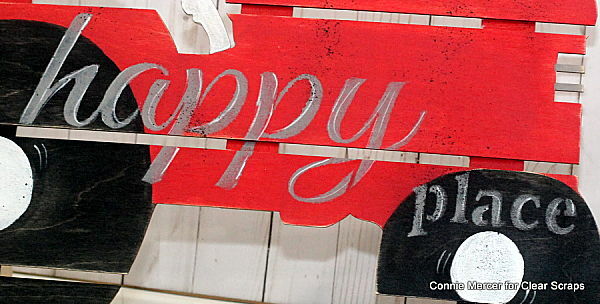 The next step is adding the word "happy place" with the stencil by Clear Scraps! 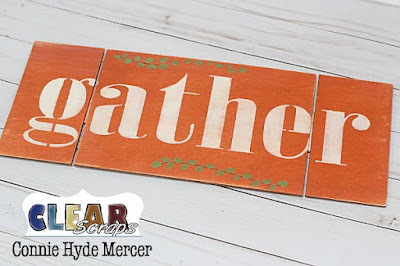 Tape down the stencil with painters tape. 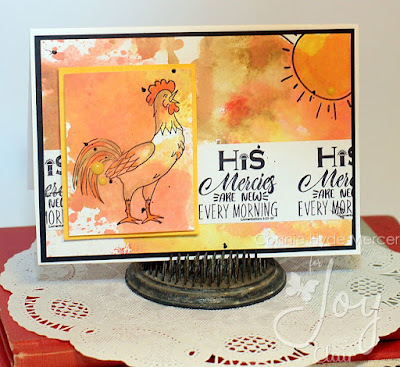 I used a small round stencil brush and applied the paint to the stencil. I always tap off paint before going to the stencil. 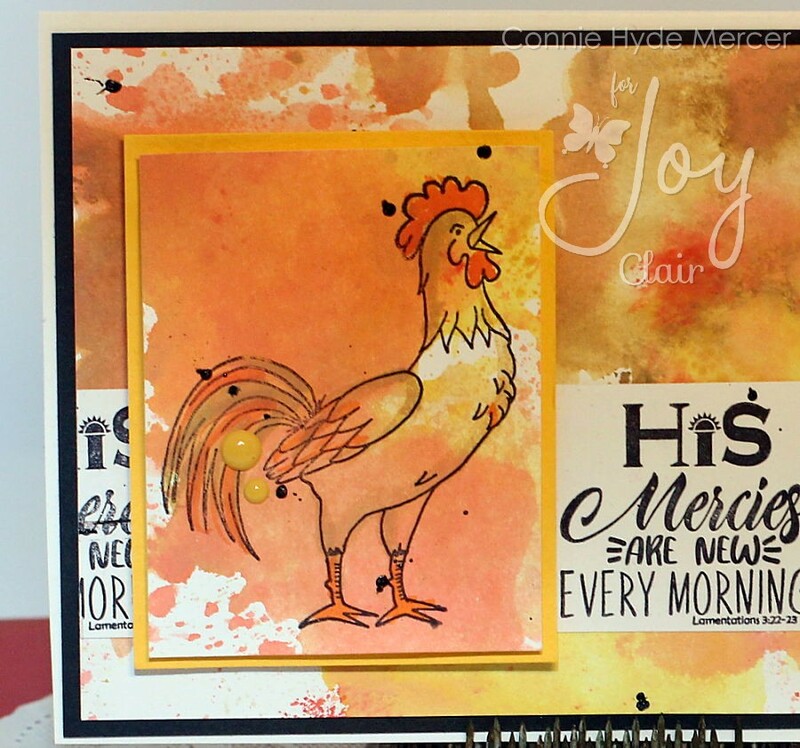 If your stencil brush has to much paint on it , the paint will go under the stencil. Not a great look!!! So less paint is what you want. 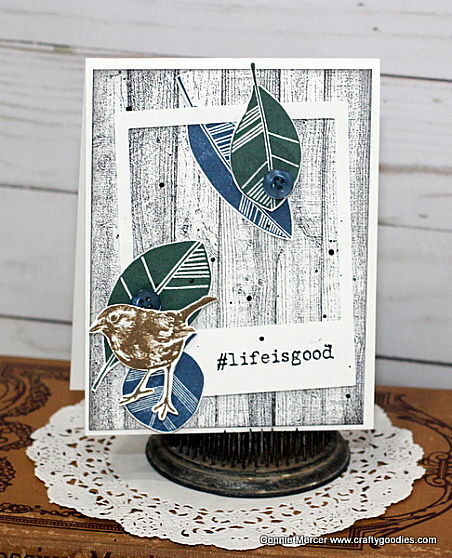 A good plan of action is a test before going to the project being stenciled. 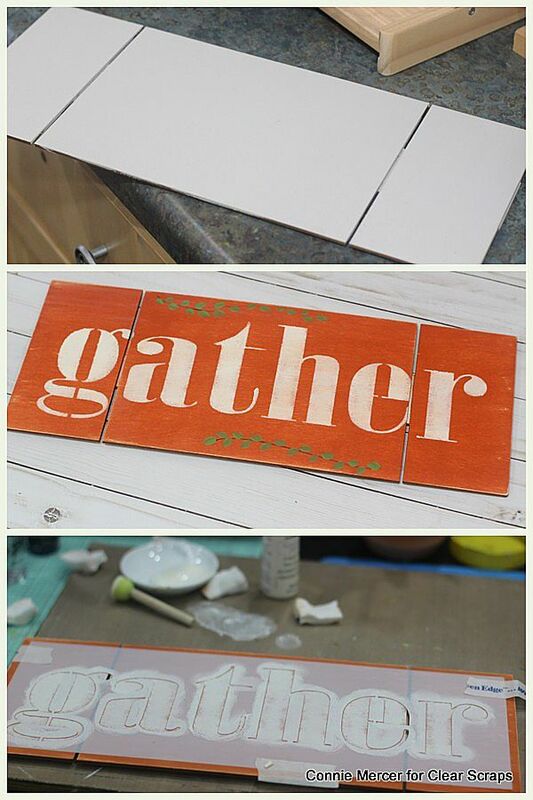 Highlights were added to the letters with a small line brush using white acrylic paint. 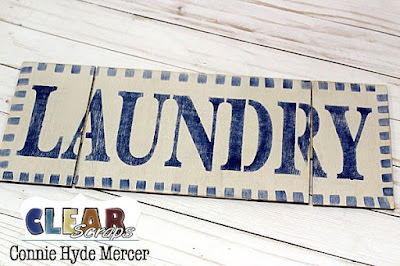 The project was sealed with a mat varnish once the paint dried. 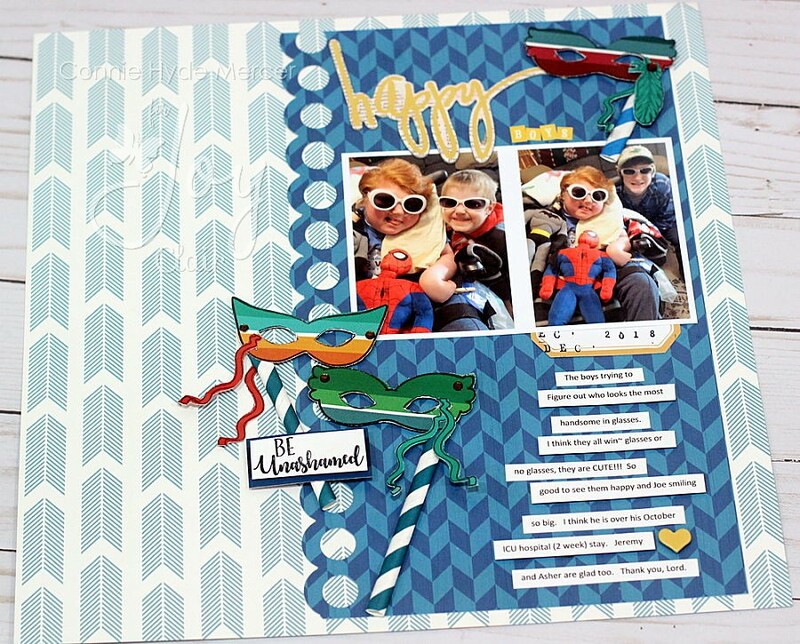 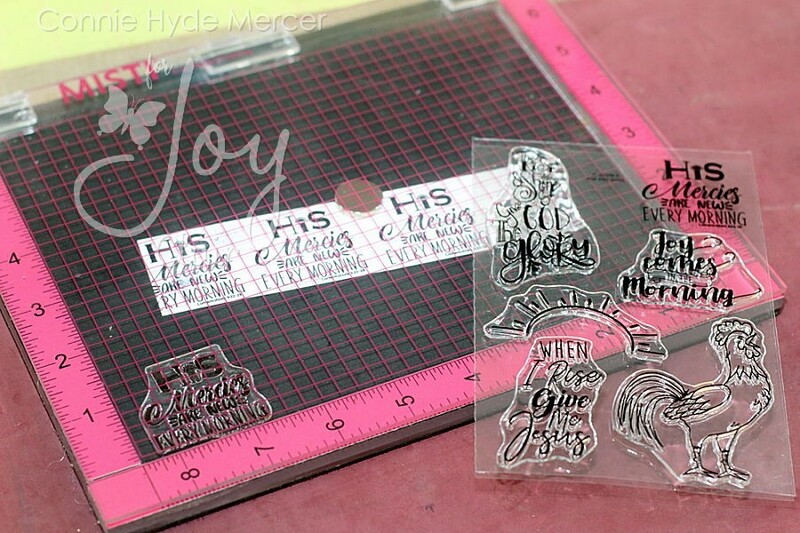 Clear Scraps: Word stencil "happy place"
New team for the new year!!! 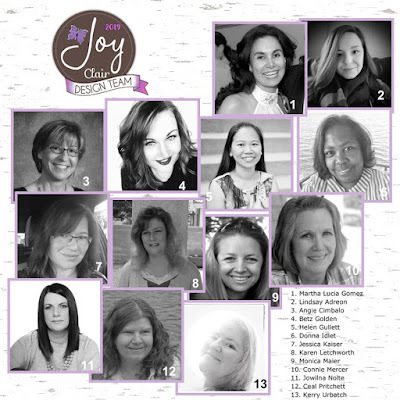 This was posted on Joy Clair's blog, written by Martha !!! 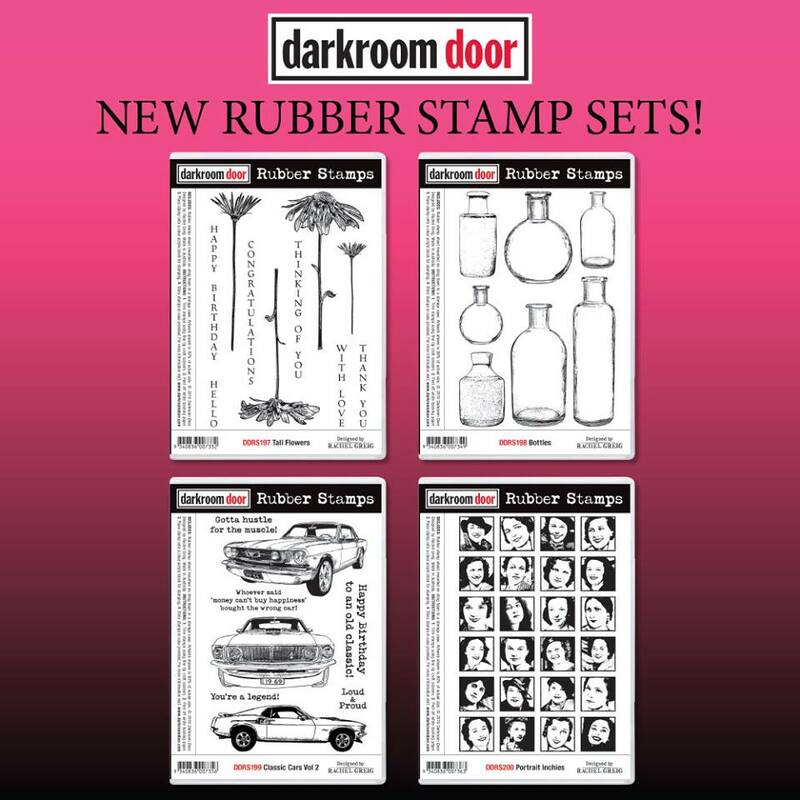 Coming soon new stamps and tons of creativity! !